You'll feel the difference from the very first notes you play. With realistic touch and response, paired with the unmistakable tone of the finest concert grand pianos ever made, the Clavinova delivers expressive capabilities and a dynamic range that redefines the standard for digital pianos today. Explore a new world of musical possibilities with Clavinova-more than just great sound. Voices from the CFX, Yamaha's finest concert grand piano, and Bösendorfer's legendary Imperial. All 88 keys are sampled individually. 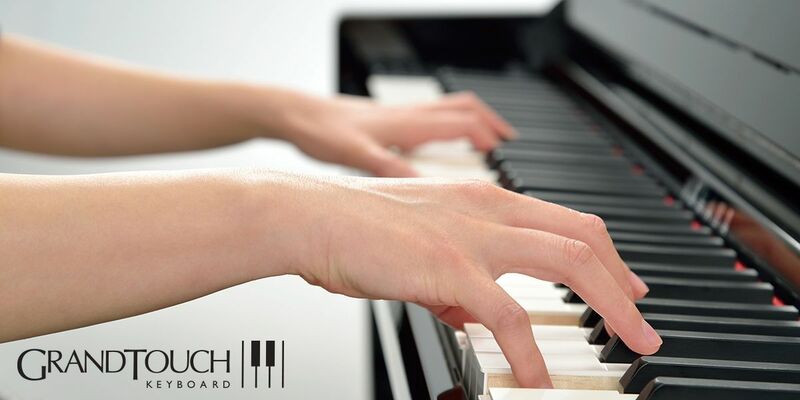 The newly developed GrandTouch keys offer more responsive touch and a greater dynamic range than ever before. The pianist can experience a natural, balanced response from the tip to the very back of each key. You can play music through the audio system on the Clavinova by using a Bluetooth-enabled smart device. You can stream audio data such as mp3 files, as well as audio from apps. You can enjoy playing along with any songs on your smart device, and you can even share your Clavinova performances. A combination of time-tested craftsmanship, unrivaled expressive capabilities and unmistakable tone make the concert grand piano one of the most revered musical instruments in history. The CLP Series captures the soul of a remarkable concert instrument in a digital piano to deliver a grand piano performance in a more personal environment. From the feel of the pedals to the touch of the keyboard and the rich, resonant tone, the CLP Series provides an authentic grand piano experience that will inspire you to take your playing to new heights.